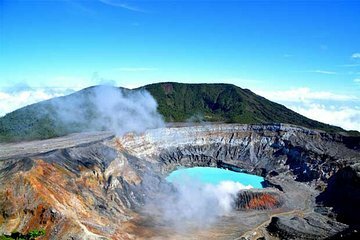 Visit the impressive crater of Poas Volcano and go behind-the-scenes at a large commercial coffee farm on this full-day tour from San Jose. A guide shares fun facts about one of Costa Rica's most-visited volcanos and biggest exports on a field-to-cup tour of the coffee farm. Plus, private transportation and included lunch make this tour a breeze.